Thus, the NFI brand, and even our program names, go overlooked/unmentioned. But we’re okay with that - we don’t mind hiding behind your success. Because that’s what we’re here to do: Create a world in which every child has a 24/7 Dad®. And we do it through you. We don't run fatherhood classes and talk to dads everyday. We help organizations doing that very work across the country to be successful. We provide father absence and father involvement research that help justify an organization or state’s investment in father-focused programs. We write articles on father engagement and how to be a better dad. And we love to hear about how our various fatherhood curricula are a foundational piece of family and societal “puzzles” being pieced together across the country. You are the stars that bring our curricula to life! Thank you for that. Occasionally we browse YouTube for stories of impact – organizations sharing their fatherhood initiative successes. And often, we find within those stories, nuggets of gold – along with the use of one of our fatherhood programs. Sometimes the actual curriculum name is mentioned, other times it is not (but we have a staff person who helped that very organization build their fatherhood initiative) – and it makes us feel like proud parents! So as proud parents, I want to share a couple such videos with you today. You’re in for a treat. Children’s lives are being changed across the nation, one father at a time. And it’s never too late to start. 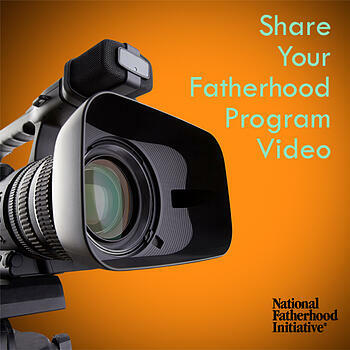 Do you use NFI curricula and have a video to share about your fatherhood initiative? Don’t be shy; be sure we know about it! Share your story and video with us. Click here to learn more about their fatherhood offerings. Do you use NFI curricula and have a video to share about your fatherhood initiative? Don’t be shy; be sure we know about it! Share your story and video here.